Having worked with directors as diverse as the Coen brothers, Martin Scorsese, Bennett Miller and Phil Lord / Christopher Miller, there was no easy answer as to what style Jonah Hill would plump for to kickstart his own filmmaking career. In the end Richard Linklater seems the most obvious inspiration for this lo-fi but artistically ambitious indie focusing on a group of Los Angeles skateboarders, with Hill channelling Dazed and Confused and Slacker and Kevin Smith's Clerks. Shooting on 16mm using the 4:3 aspect ratio not only gives the film an endearingly homemade vibe but the reduced frame keeps us closely wedded to its young protagonist's perspective. 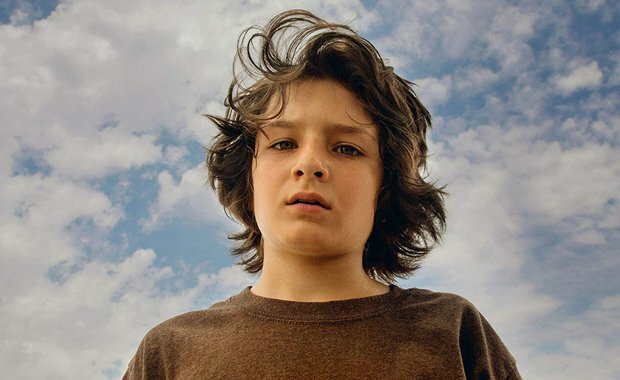 Set in the titular era, it follows Stevie (Sunny Suljic) a 13-year-old subjected to savage beatings by his brother Ian (Lucas Hedges), who we also see self-harming. Respite from Stevie's domestic woes comes when he falls in with a skater crew of older kids: Ray (Na-kel Smith), Fuckshit (Olan Prenatt), Fourth Grade (Ryder McLaughlin) and Ruben (Gio Galicia). Banter flows as they hang out at the skate shop or on the streets and there's humour and pathos in Stevie's desperation to impress as well as catharsis in the chance to run wild and free. However, the world he enters is a bewildering one for a vulnerable young boy, with booze, drugs, pursuit by cops, dangerous stunts and hook-ups with older women all on the agenda. While the coming-of-age of male adolescents has been robustly explored (not least by Linklater himself in the tricky to top Boyhood), as a writer-director Hill doesn't exactly play it safe. Beautifully shot by Kelly Reichardt regular Christopher Blauvelt and stirringly scored by Trent Reznor and Atticus Ross, Mid90s is a debut that shows plenty of creative daring and one that sets foot in transgressive territory. It's also pleasingly non-judgemental – though Stevie butts heads with nearest peer and rival Ruben, who's protective of his spot in the gang's affections, the crew are largely presented as loyal, kind and funny. Tonally it can be a little helter-skelter but Hill has penned a witty, compassionate script and feels like a filmmaker willing to experiment. In glorious scenes of skateboarding and shooting the breeze, he captures the essence of an era. Screening on Wed 20 Feb as part of the Glasgow Film Festival 2019. General release from Fri 12 Apr.